Pop along to PMQ for a fruit-astic festvial and market! 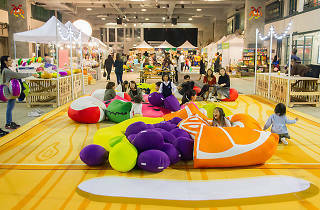 You’ll be welcome in by a giant fruity wonderland featuring a dozen roly-poly fruit figures where both kids and grown-ups can release all their anger and frustration on these hilarious toys. 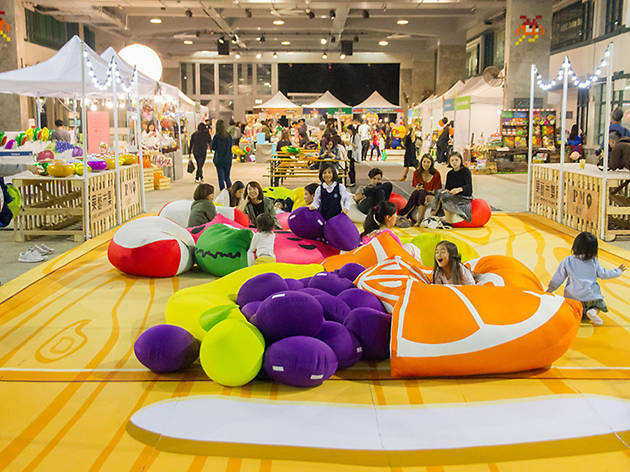 But the main event is surely the market with more than 20 fruit-related booths and workshops. You can try your hand at fruit bowl painting, clay art and make your own starfruit jam from scratch. Enjoy house-made fruit cocktails and fruit punch coupled with handcrafted beer and shop for funky accessories like hand-woven fruit bags and lipsticks made of organic fruit peels.